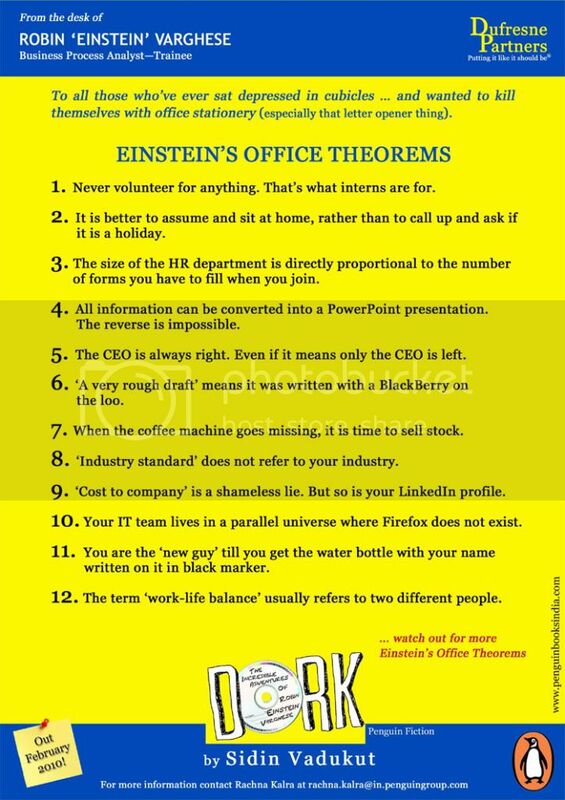 Dork, basically is a book written taking a jibe on the consulting industry. It at a very primitive level showcases the disillusionment of the management graduates wrapped in the humor. It is the first book from the famous blogger and online editor of WSJ-LiveMint. The book is primarily a tone of humor which is characteristically of Sidin, as in his blog. The read as an entire book and the plot is average, though the breezy humor in parts keeps you interested. The setting of the book starts from the campus interview and moves to the world of consulting industry very soon. The main feature of the book, no doubt is the humor which at instances would keep you in splits. However, the book looses out majorly in connecting the protagonist with the audience. In an attempt to make it humorous Sidin has led the character of Robert Einstein Verghese so distant from the reality that as a reader you would not believe he can be for real. This loss of connect, actually results in lack of engagement from the reader. You don’t tend to love the protagonist, or hate him (despite his stupidity). At most he leaves you irritated by his stupidity. Though the book does depict shades of reality for the management graduates in the consulting industry, the exaggeration of the industry and the characters have been far away from reality. But one thing which stood out was absolutely fabulous promotion banner (Shared below) and the hilarious back cover and the words of praise on it. Typical Sidin humor at its best. Summary- Pick it up only for a breezy read during travel. @Monika: Same here, expected sth better. But I loved the last cover page and the banner, I am planning to put it on my office desk. I had come to know about the book through word of mouth on internet & I am disappointed!! More to come in my review but I so much agree with what you have written! @Smita: Yeah it was a let down on expectation. @Reema: Yes you can pass this one. WOW, WONDERFUL- seems unbeatable. 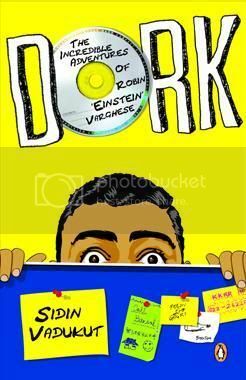 I am overjoyed with this book ‘DORK’. After a long time a book on CAMJOB (Campus and first job genre) that stands apart making you enjoy the subplots so intrinsic to a good story. It is created with a clear aim. The writing style beyond compare. Hat’s off to SIDIN. @Sanjeev: Glad you liked it. Complete waste of time and money. Could not read it beyond 30 pages.